The crown jewel of our club, the annual Hoofer SnS Spring Break trip, is back for the 54th time! There is nothing better than the tradition that Hoofers has created with the Jackson community. If you like deep snow, backcountry, sick vertical, and a classic ski town experience, Jackson is the trip for you. Furthermore, who wants to go lie on the beach for Spring Break when you could be riding the pow and shredding the gnar at one of the most bodacious mountain resorts in the entire world. 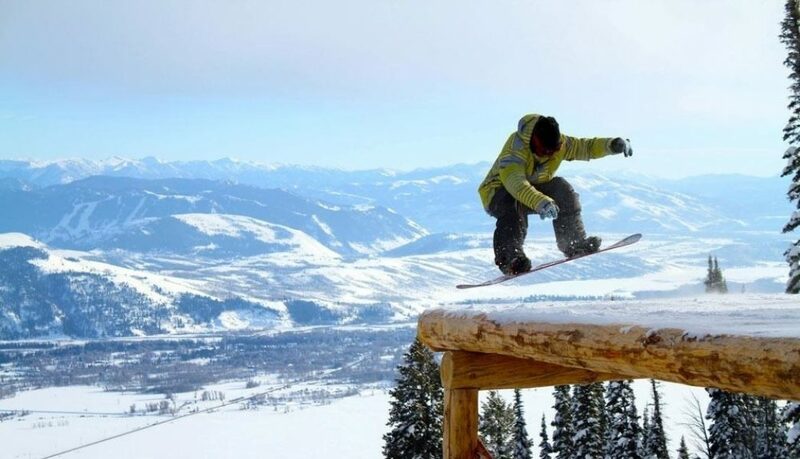 Home of Teton Gravity Research and some rockin’ cowboys, Jackson Hole is 10,000 feet closer to the sun, gets 400+ inches of snow per year, and will knock your socks off! Jackson Hole has 2500 acres in bounds plus an additional easily accessible 3000 acres out of bounds and 4139 continuous vertical feet from top to bottom. Now... you might say, "Gee, isn't going out of bounds against the rules?" Not at Jackson Hole! They have gates that you are allowed to use to access the out-of-bounds area, but remember your avalanche gear. More info can be found at Jackson Hole's website. Important Note: If you do not pay for bus transportation, you are responsible for arranging your own transportation to Jackson Hole. 4 day flex pass (use any of the four days we are at the resort). THIS TRIP FILLS UP FAST. DON’T GET LEFT OUT OF THIS HOOFER TRADITION THAT HAS BEEN GOING STRONG FOR MORE THAN 50 YEARS! For more information, contact the Vice President-Trips at vptrips@hoofersns.org!